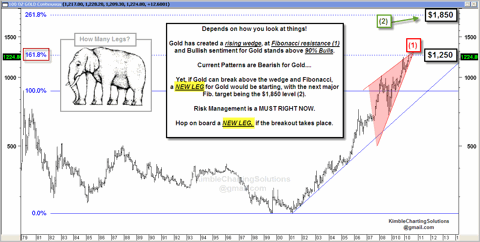 Gold: Is It a Bubble or a Refuge? Earlier this week I posted a chart series on market bubbles with a footnote that posed a question: Is Gold a bubble? Gold is up 441% since its 21st century low in February 2001. However, the rise since then doesn't have the hockey-stick curve of the Shanghai Composite peak in 2007 or the Nasdaq of the Tech Bubble (see chart). 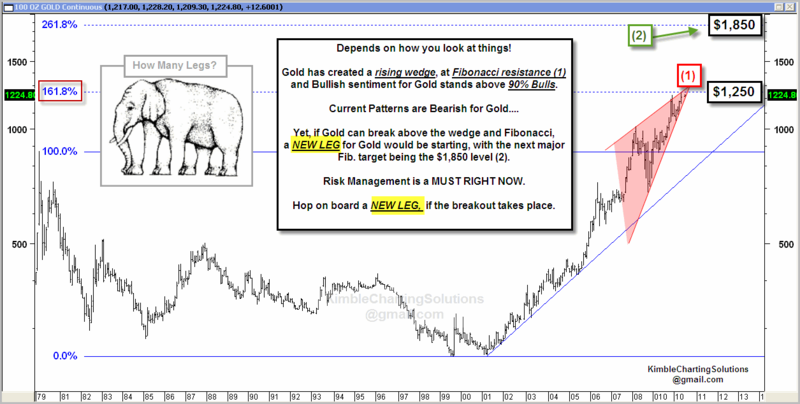 I asked technical analyst Chris Kimble for his thoughts on gold. He sent me this chart update. 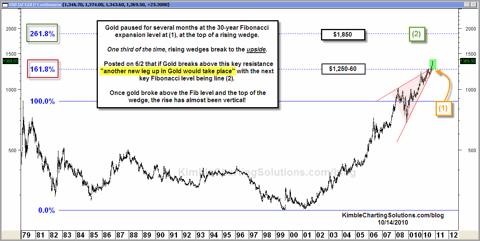 Chris also reminded me of his gold chart from early June when the metal was trading around 1225, just below the Fibonacci resistance level of 1250. He pointed out that the next major Fibonacci level would be around 1,850. 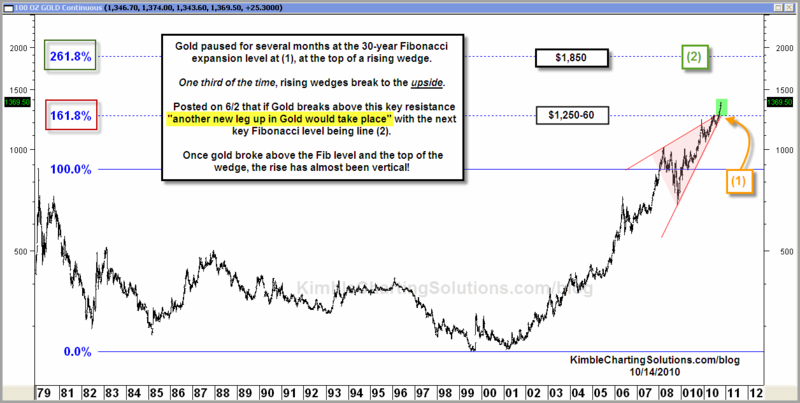 At yesterday's close of 1381, gold is about a quarter of the way to the that next major resistance set by Uncle Fib, as Chris sometimes refers to the legendary mathematician Leonardo of Pisa, more commonly known as Fibonacci. The growth of gold over the past decade resembles the growth of the Nikkei 225 in the 1980s, which culminated in a stunning market crash. The same could happen to gold. However, there are significant differences between the precious metal today and the Japanese market two decades ago. The uncertainty surrounding currency valuations and government manipulation thereof (the dollar, euro, yen and yuan) could keep the price of gold — and silver — on the rise for an indeterminable period of time.